The writer is CEO of LEAD Pakistan, an Islamabad-based think tank specialising in environment and development issues. PAKISTAN depends heavily on its neighbours for most of its surface water. Many of our rivers originate in other countries; yet relations with most water neighbours are estranged. And we have yet to develop a coherent narrative and consistent policy to protect our long-term water interests. Instead of laying a foundation for sound water relations, we are allowing our water interests to become subservient to temperamental political relations. It is imperative for Pakistan to have mechanisms in place to discuss the development of neighbouring countries’ water infrastructure, with or without formal treaties. We need regular, ongoing discussions with our neighbours on infrastructural development, surface water flows and diversions. This includes Afghanistan that is planning feasibility studies of about a dozen dams; China for developments in Tibet where the Indus originates; and India that is home to the upper reaches of Indus and its numerous tributaries. An exchange of information and increased cooperation on water issues, therefore, needs to become a standing item in our bilateral agendas with our neighbours as well as with other development partners (Australia, the EU, UK and US). It is for Pakistan to initiate water negotiations with all our water neighbours in order to respond to the growing population, projected economic growth, receding glaciers and water flows — now made uncertain by climate change. For a water-secure Pakistan, domestic water-sector reforms must be complimented with a new regional diplomacy. A fresh and simple approach is needed for a policy that is based on three basic principles. First, have a clear policy for water security. Since water is the lifeline of our economy and ecology, ensure it is at no point hostage to volatile political interests. In fact, we need to use water relations to build and improve political and economic relations. Our present policy is lopsided. We ignore water relations with Iran, thinking that water quantities shared with it are too small or seasonal, but forget that Iran and Afghanistan have been in discussions over the Helmand River for almost 100 years. Pakistan must secure its interests through regional diplomacy. Likewise, as an upper riparian, China has a strong bearing in future water flows downstream in the Indus and Brahmaputra. In fact, given evolving data-sharing mechanisms between India and China on Brahmaputra, China may assume a unique position in shaping, if not brokering, Pakistan-India water relations. But water is not a formal agenda item between China and Pakistan, notwithstanding some preliminary explorations of the Indus Cascade. This project in the upper reaches of Gilgit-Baltistan is potentially larger and more important than CPEC. With India, we have reduced water relations to only conflicting interpretations of the Indus Waters Treaty, compromising our interests on many old and emerging issues not directly covered in the treaty: transboundary water pollution loads; information on aquifer movement; climate-induced cloudbursts and cross-border flooding; joint management of early warning systems; and changing patterns of monsoon and precipitation that influence regular and seasonal flows. This growing list offers opportunities for enhanced bilateral collaboration. Second, invest in research and development. Articulating policies based on perceived instead of evidence-based interests has made negotiating positions zero-sum. Our interest lies in equitable benefit sharing, which requires research and policy engagement. We recently damaged our case in the international court primarily because we cited little scientific information to back our claims. As we move to implement our National Water Policy, experts and thought leaders must be brought together to undertake collaborative research and analysis. Scores of experiences of transboundary negotiations and agreements need to be analysed for their relevance to our complex contexts. Third, find friends and takers for our policy. Though detrimental to our interests, and adding to mistrust and information gaps, Pakistan has unnecessarily shied from engagement. Proactive regional engagement to win friends will help us develop the social capital necessary for exercising soft power. We can still initiate the process by picking some of the threads from the Friends of Democratic Pakistan report, shelved almost a decade ago. It is time to assess how best to re-engage those nations, the World Bank and institutions that have traditionally taken a keen interest in regional water diplomacy, investments and institution-building. In all, we need to focus on developing a new generation of leadership in water by investing in a cadre of decision makers from across the provinces, sectors and disciplines. They need to be trained and capacitated for reimagining and re-envisioning regional water diplomacy. Dear Sir, please be clear on one point. You do NOT have friends in international politics. Only interests count. A laundry list of things to do - a wishlist. Good thinking. But who is going to do all that ? And where is the talent and interested teams to do it? Pakistan doesn't have budget to build dams. Other countries will not build dams for Pakistan. How to resolve the issue with some neighbour who is not interested in solving the problem through dialogue? Any suggestions as the mediator between the two countries has also given up on the issue without spelling out the truth in so many words. Nearly 40 % of the Indus originates in Afghanistan as the Kabul river. Afghanistan must utilise this water and become food secure. Successive govts have neglected the stringent issue and foiled to chalk out prudent water pokicies. Unlike former’s indifference ardent measures for water are necessary for short, mid and long term goals. Most parts of our country are already drought-ridden and acute shortage of potable water persists. In such a scenario, water policies could be enacted to cope with the apprehesions of scarcity down the road. @SHAHID SATTAR, first focus on building dams. It is easy to blame neighbours for all problems. @RAja Raman, Is building dams a condition imposed upon Pakistan under the Simla Agreement? @SHAHID SATTAR, since we won't have any water after 5 years, how will we fill the dams? There can be no water security without efficient water resource management and this holds for every inhabited land. 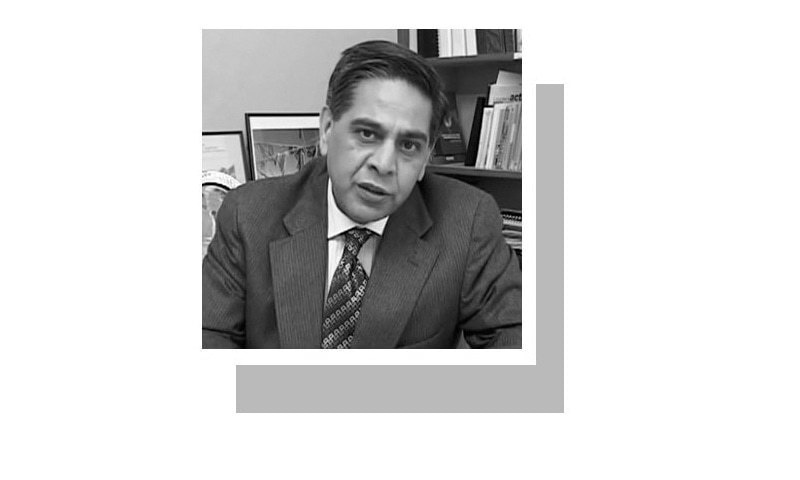 @Shakir Lakhani, In the solution of the Kashmir dispute, not under pressure from either India or Pakistan, but giving the right of deciding their fate to the Kashmiri people, lies the solution to our own water problems. The building of dams by India over the water resources originating from Kashmir has caused the situation we find ourselves in now. It is tragic that our own leaders have failed to take notice of the grave disaster which awaits us and to take the correct steps to remedy the situation. Remember that someone said that during the twenty first century wars will be fought over water. Our situation demands that we, as neighbours who have to live side by side for all times to come, realised that solving such problems is imperative for survival of the two nations. And time is running out fast for any solutions to be effective and beneficial for the people of both the countries. What has made our rivers lose their water levels? Sir, read your article, the contents are thought provoking based on rational analysis. As rightly mentioned the water rights for lower riparian countries have to be protected. Number of treaties and arrangements do exist. In Pakistan Indus Water Treaty (IWT) is a successful model, there is need to have similar arrangements on our western neighbors. However, to address the issues like pollution and climate change there is a need to start water quality monitoring along with quantities at the entry point when rivers enters from one country to other. This will generate data which is the backbone for any negotiation. I do recall that at some point of negotiations with India it was discussed that Pakistan would be recording/ monitoring water quality parameters to see if there are any "material change" as mentioned at Article IV (2) of IWT.